Thanks to everyone who joined us for this week’s webinar on how to monitor MongoDB (for the MySQL DBA). Art van Scheppingen, Senior Support Engineer at Severalnines, discussed the most important metrics to keep an eye on for MongoDB and described them in plain MySQL DBA language. Which status overviews and commands really matter to you? How do you trend and alert on them? What is the meaning behind the metrics? It also included a look at the open source tools available for MongoDB monitoring and trending. Finally, Art did a demo of ClusterControl’s MongoDB metrics, dashboards, custom alerting and other features to track and optimize the performance of your MongoDB system. Art van Scheppingen is a Senior Support Engineer at Severalnines. He’s a pragmatic MySQL and Database expert with over 16 years experience in web development. He previously worked at Spil Games as Head of Database Engineering, where he kept a broad vision upon the whole database environment: from MySQL to Couchbase, Vertica to Hadoop and from Sphinx Search to SOLR. 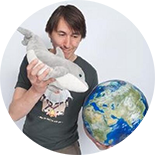 He regularly presents his work and projects at various conferences (Percona Live, FOSDEM) and related meetups. This session is based upon the experience we have using MongoDB and implementing it for our database infrastructure management solution, ClusterControl. For more details, read through our ‘Become a MongoDB DBA’ blog series.